The annual service to celebrate Scotland’s patron saint was held in Athelstaneford Church on the Sunday preceding St Andrew’s Day. The theme of the Rev Joanne Boiten-Evans’s service was to encourage everyone in the congregation to imagine what St Andrew would actually have looked like, given there are no contemporary images of the man. This involved a display of the artwork of pupils from Athelstaneford Primary. 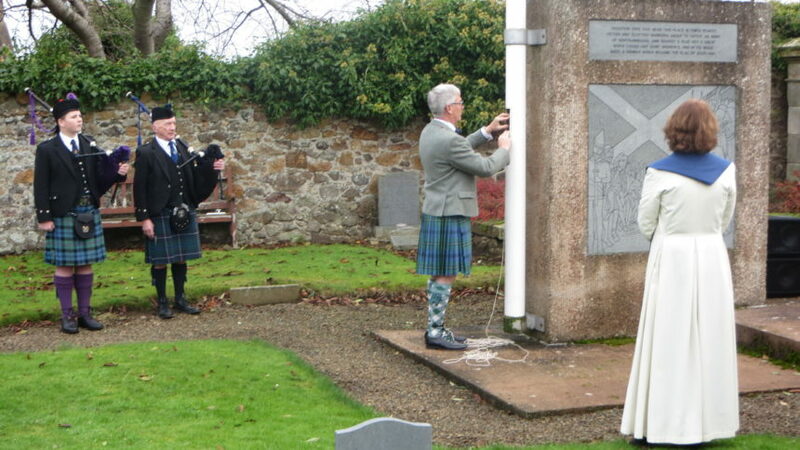 At the close of the service, the flag was piped to the Saltire Memorial and blessed by the Minister, before being hoisted on the flagpole while the congregation sang the Saltire Anthem. Everyone then retired to the Village Hall to enjoy tea and cakes, courtesy of the ladies of the Athelstaneford and Whitekirk Kirk Session. 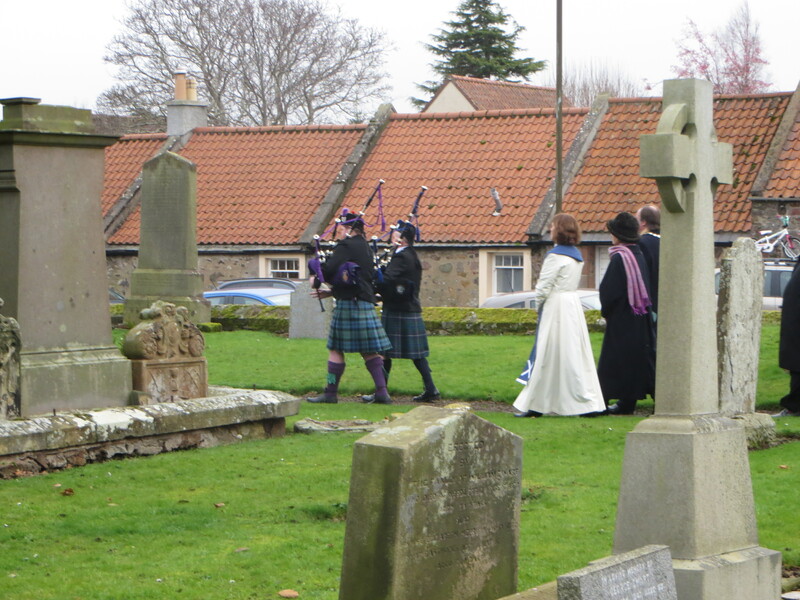 Image: The Minister, Depute Lord Lieutenant and Provost follow the pipers to the Memorial. Copyright © 2019 The Scottish Flag Trust All Rights Reserved.